With so many exciting new real estate developments on both sides of Cairo, 2018 could be the year you find a brand new home, along with the lifestyle you have always wished for. Cairo West Magazine brings you an overview of some of the most desirable properties in prime locations, so turn the pages and be inspired! Location: Al-Futtaim Group Real Estate – the leading real estate developer in the Middle East – intensified its operations and efforts to speed up the completion of its residential complexes and Business District within Cairo Festival City. Available units: Oriana Villas, which comprises 763 prestigious villas extending over 955,000 m2. The second phase of Oriana will include 243 standalone villas and twin houses spread on 271,000 m2 – 65% of construction work has been completed in this phase. On the northern side of the city, phase one of Festival Living Apartments construction is underway, comprising 7 mid-rise buildings. Festival Living Apartments’ first phase will house 341 premium fully finished apartments, equipped with central air-conditioning, spread over an area of 66,000 m2. On the Southern edge of the city, conveniently facing the main roads of New Cairo, Road 90 and the Ring Road, sits the Business District. Upon completion, these significant 300,000 m2 commercial areas will comprise 20 buildings of grade “A” office spaces. On the Northern side of CFC, an additional 6 buildings in the premier business park “Podium” will cater to the needs of small and medium enterprises. Delivery date: The first phase of Oriana comprises 178 palatial villas with 26% of the units complete and 25% of the total units still under construction. Delivery of units in this phase started in 2014. The second phase of Oriana will include 243 standalone villas and twin houses spread on 271,000 m2 – 65% of construction work has been completed in this phase with full construction and delivery expected by Q3 2018. Festival Living Apartments construction commenced in Q1 2016 with more than 65% of construction and 85% of its infrastructure now complete – completion and delivery will begin in Q3 2018. Attractive features: Cairo Festival City sits proudly at the gateway to New Cairo, a position that captures the hearts and minds of those seeking to experience urban contemporary living with the ultimate in residential, business, retail and dining opportunities. Created over three million m2, Cairo Festival City also embraces respect for the environment and is self-sufficient in energy and water, while bringing residents and visitors everything they need for a satisfying and rewarding lifestyle. Situated to the east of the Ring Road, Cairo Festival City is swiftly accessed from all points of the compass, bringing neighborhoods such as Maadi, Heliopolis and Nasr City within easy reach. Further afield, a well-developed network of major routes provides access from locations such as Alexandria, Suez and further. Cairo Festival City’s close proximity to Cairo International Airport also opens routes for an international audience and clientele. Outstanding Features: Facilities available include Cairo Festival City Mall (Restaurants and Shopping Centre), Automotive Park (Honda & Toyota), American International School, KidZania, Gym and The Marquee. Location: Situated over an area of 115761.5 m2, this peaceful haven in the heart of Sheikh Zayed is located only five minutes away from the 26th of July Corridor, allowing for an easy commute into the capital when necessary. Attractive features: Genova consists of 178 uniquely designed houses; whether it’s a stand-alone villa, twin house, or town house, each unit has its private pool. There is also a Genova club, clinics, an international school, cafés, a spa, pools (indoor and outdoor), a sports area and a commercial area. All homes have their own gardens and public garage areas; meanwhile private garages are available in corner town houses. The streamlined modern architecture is accompanied by fully integrated home automation systems that allow residents to easily control their homes. Genova also offers a butler service, an innovative service that can deliver everything to residents’ doorsteps, such as in-house dining, housekeeping, a scheduled breakfast, or even groceries. A hand-picked team of security personnel will be on duty 24/7, and advanced surveillance equipment will ensure the safety and security of residents. For maintenance work, a proficient maintenance team renders it unnecessary to bring in anyone from outside the area, adding convenience and security. Finishing specifications: Units are delivered semi-finished. Payment plans & facilities: Starting from 10% down payment with up to 9 years of installments. Upcoming projects: East Cairo and Sahel. Location: Glory is the newest addition to the Grand Heights portfolio and offers various living spaces with unique semi-finished models to cater to every need. Only a few minutes from the 26th of July Corridor and the Cairo-Alex Desert Road, Glory offers its residents quick accessibility to 6th of October City and Sheikh Zayed, as well as the heart of Cairo. Available units: Glory offers town houses, twin houses and villas with spaces starting from 283 m2 for town houses up to 571 m2 for separate villas. Attractive features: Glory provides a luxurious lifestyle with top-notch living standards, world-class facilities and amenities such as a clubhouse, jogging tracks, a children’s playground and a commercial area. Payment plans & facilities: 10% down payment over 7 years with 0% interest. Delivery: Some units will be ready for delivery after two years and other units after four years. Occupancy rate of compound: More than 150 units have been delivered and over 30 families are now living in Grand Heights. Location: IL BOSCO is Misr Italia Properties’ newest portfolio addition in the New Capital, encompassing an area of 200 acres. 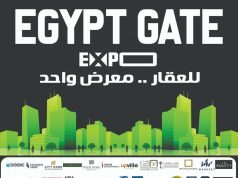 The most attractive area in the New Cairo Capital, Sheikh Mohamed Bin Zayed axis is considered the most dynamic area in the new capital as it holds the new Expo and Opera. IL BOSCO is close toeducational institutions and the diplomatic district where embassies will be moved. IL BOSCO is located only 35 minutes away from Heliopolis and 10 minutes from Road 90 in Tagamo’. It is strategically located within an easy drive of Cairo’s main International Airport and the New Capital Airport. Available units: IL BOSCO offers a range of luxurious standalone villas, twin houses, villas and apartments with exclusive designs that will cater to the needs of customers seeking a modern, sophisticated and luxurious lifestyle. Attractive features: Community centers, a club house, water features, greenery, concierge, a sports club, commercial area and play areas. Payment plans & facilities: 10% down payment and the rest in 7 or 9-year payment schemes. Plans for future expansion: Misr Italia Properties is constantly scouting for new opportunities that will add to the company portfolio while catering to the needs of clients. Location: ATRIO is perfectly situated on the main axis of Sheikh Zayed City. The project is conveniently connected to the heart of the city via the 26th of July Corridor. Your home is minutes away from the new toll station and Smart Village. Al-Ahly Club is just down the road and the main shopping hubs surround ATRIO from both its east and west sides. All the famous hangouts, restaurants and movie theatres are just a bike or scooter ride away. At ATRIO, you are in the center of all the action. Available units: Townhouses, twin-houses and villas, unit sizes range from 246 m2 to 322 m2 , with land area ranging from 280 m2 to 412 m2. Delivery date: Starting December 2018. Attractive features: ATRIO is introduced to the market as IWAN’s first turn–key project. You will buy your home and move in to a fully finished compound and units; all you need to do is pack your bags. The name ATRIO, meaning court or lobby in Italian, is inspired by the Italian architectural design of the units, with an aim to satisfy and exceed our customers’ expectations. Spread across 19 acres, ATRIO is a cozy community featuring approximately 120 units, representing 18% of the total area, while the rest of the space has been transformed into vibrant green spaces, flawless landscape and intricate water features. ATRIO encompasses an array of cozy townhouses, impeccably designed twin houses and spacious standalone villas. Amenities include a commercial area, jogging tracks, a clubhouse and water features. Upcoming projects: Iwan is unveiling its new launch in one of Egypt’s most prestigious and rising locations, Desert Road. Payment plans & facilities: 5% down payment and 6 years of installments. 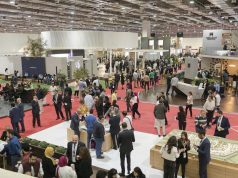 Plans for future expansion: Iwan is looking forward to expanding its portfolio in East Cairo and in second homes. Location: Joulz is strategically located on the Cairo-Alexandria Desert Road, about 20 minutes away from Mohandessin and a few minutes from the Ring Road and 26th of July Corridor. Available units: Joulz Phase 111 boasts a range of homes to meet a variety of lifestyle preferences. Apartments range from 150 to 290 m2, townhouses range from 289 to 348 m2, twin houses range from 328 to 392 m2 and stand-alone villas range from 346 to 386 m2. Attractive features: Joulz111 enjoys a strategic location with open views, ample green areas and a rich landscape. Host to a vibrant community, it’s an integrated development with a mixed-use area. Leisure facilities include a clubhouse, bike lanes, jogging lanes, pedestrian walk ways, a children’s play ground and sports fields. Residents benefit from amenities such as facility management services and security, E-compound services (high speed internet and video services), back-up power generator for public spaces, and audio/ video intercom in the apartment buildings. Payment plans & facilities: 10% down payment, 7-year instalment plan. Changes in pricing as of 2017: We are closely monitoring the market within the area and accordingly pricing our projects based on Inertia’s strategy of best value for money. Upcoming projects: New phases are planned for Jefaira, North Coast, and new residential developments in Cairo are in the pipeline. Location: Ideally situated on the Giza Plateau, and a mere 18 km away from downtown Cairo, Executive Residence Giza Plateau is an exclusive community built on 16 acres of land. Available units: For the first time in Egypt, this community will also offer a new type of residential living; the “iVilla.” making it the ideal home address for those seeking a luxurious lifestyle at an affordable cost. Attractive features: With its ample space, residents of this luxury community can enjoy copious amounts of greenery, open front yards, immaculately landscaped lawns and a central green park, a wide range of amenities and facilities, in addition to elegant and comfortable homes, making this one of the safest, luxurious integrated communities on the West side of Cairo. Payment plans & facilities: Contact directly for information. Delivery: Fully operational since July 2017. Location: NEWGIZA is located at Km 22 on the Cairo-Alexandria Desert Road, 7 km before the toll station. The city (or any destination) is easily accessible from 8 different routes the 26th of July Corridor, Ring Road, Alexandria Desert Road and Wahat Road. Available units: NEWGIZA has recently launched two neighborhoods. Amberville: Recently launched fully finished apartments. A resonating stone that promotes balance and reduces stress, Amber was truly distinguished during ancient Egyptian times. Its qualities are reflective of the neighborhood’s character, where life is stress-free and uplifting in every sense. Exclusive for its convenient location and relaxed living environment, Amberville offers luxury apartments that highlight the future of modern town living. Every terrace and window is methodically designed to overlook a splendid backdrop of open-spaced landscapes, including the golf course, scenic lakes and public gardens. Defined by exceptionality, its state-of-the-art facilities and residential features make for a complete, exhilarating and peaceful neighborhood, outlined by upscale luxury. Goldcliff: Recently launched twin villas and townhomes. Goldcliff is the first of all neighborhoods to house luxurious Twin Villas that closely overlook the Great Pyramids of Giza. Strategically laid out on a descending step formation, every window and terrace is guaranteed a magnificent outlook to ancient history. Within close proximity to the town’s luxurious facilities and community inspired hubs, Golfcliff honors the tranquility that comes with upscale convenience. At breathtaking latitudes, the 360-degree perspective of the golden edifice promises a lifestyle filled with glorious heritage of lasting beauty. Attractive features: NEWGIZA is reshaping the future and beyond. By transforming the way we live, work, play and learn; recreating human experiences for decades to come. Our fully-integrated neighborhoods, bespoke with unique architectural designs, are laced with an Eden of beautiful landscapes; while, a mixed-use area speaks out as NEWGIZA’s center point for business growth, recreation and eateries. Our world-class hotel, healthcare, educational and sports facilities together exhibit how we help our community indulge in the present to meet the needs of tomorrow. Forward thinking is how we do it, by creating a town where individuals, families and kids together can relish in life’s greatest upscale luxuries. We encourage a community to explore new experiences, achieve beyond limits, live for the moment, and breakthrough with excellence. NEWGIZA Sports Club (NGSC) caters to everyone’s interests, at all ages and levels of fitness, nothing short of a first-class athletic hub. It features a professional soccer field, a vast running track, an outdoor Myrtha Olympics swimming pool, a squash court, as well official clay and hard tennis courts managed by established large-scale academies and run by expert world class coaches. The club also houses a gymnastics hall that is approved by the International Gymnastic Federation, the worldwide governing body of gymnastics. Children have a dedicated a fully-furnished play area, equipped with the world’s leading company for playgrounds, water play-structures and birthday areas. NGSC promises a vibrant community center with exciting programmatic activities that encompass a wide range of interests, to provide both an exceptional sports-filled and leisurely experience. Location: The Crown is nestled above the landmark that is Palm Hills October, it is a spacious yet cozy 190 feddans of pure comfort and convenience. It is a true symbol of belonging and of a profound, groundbreaking heritage. This is our crowning achievement atop the great Hills of October, the newest member to our royal family of neighboring communities. The last gem to the crowning accomplishments along the elevated Palm hills October. 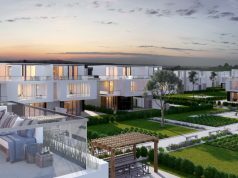 This 190 feddans, 658 villa community is designed by the renowned architect Shehab Mazhar and features undulating views with every elevation promising a scenic landscape; a green staple to every Palm Hills Developments liveable community. This is supported by breathing public space spread over 80% of the terrain. 8% of the residential project is dedicated to a commercial component to facilitate ease, convenience and comfort for its residents. A pleasant stroll away from the grandeur of Palm Hills October, The Crown will offer its residents full access to the full range of amenities and facilities on-hand. From the out-of-this-world clubhouse and spa to the state-of-the-art gym and academies, there is nothing to hold you back or slow you down. Enjoy the fresh challenge of the signature Jack Nicklaus championship golf course or soak up the pleasant aura at his namesake, The Bear Clubhouse. 2.5 Km The Bear Clubhouse, 2.5 Km Jack Nicklaus Signature Golf Course, 3.0 Km Office 8, 3.3 Km Palm Hills October Clubhouse, and 3.7 Km Street 88. The Crown is also a short drive to Mall of Arabia, Smart Village, Mall of Egypt, Galleria 40, Arkan and other nearby commercial destinations. Delivery date: 4 years from signing contract. Finishing specifications: Core and shell. Payment plans & facilities: 8 Years starting from reservation, payment as follows: 10% down payment, 5% contract payment, 85% over 31 equal quarterly installments. Location: Enjoying an exceptional location in West Cairo at an average altitude of 140 m above sea level, Pyramids Heights has easy access from and to the city through the 26th of July Corridor as well as the Ring Road. Available units: Pyramids Heights offers apartments, duplexes and penthouses ranging from 245 m2 to 339 m2. Attractive features: Pyramids Heights has Individual entrances for all units with spacing between buildings of up to 12 meters, giving added privacy. There are two parking spots for each unit as well. 85% of the project consists of open space and greenery, with a garden or roof for each unit. The development used the best partners and consultants in town, resulting in top-of-the-line finishing. Amenities include a clubhouse, a sports club, a nursery, parks, retail and commercial areas and themed community pavilions. Finishing specifications: All units come fully finished. Payment plans & facilities: 10% contractual payment, and the rest in semi-annual installments over 6 years. Delivery: Four years from signing of contract. Upcoming projects: Pyramids Heights is looking into multiple opportunities for expansion. East Cairo, West Cairo, Sahel are all promising opportunities. Location: Pyramid Hills is an upscale real estate development strategically located near the Great Pyramids of Giza, and enjoys easy access through the Ring Road and the Cairo-Alexandria Desert Road. Available units: Apartment sizes range from 153 m2 to 223 m2, with townhouse around 290 m2 and 380 m2 . Attractive features: Pyramid Hills Compound offers a variety of social and sports facilities and amenities such as a restaurant, a tennis academy, a football academy, basketball and volleyball courts, a jogging track, a kids’ areas, a clubhouse with gym, spa and swimming pool facilities. Most of these facilities are already existing and functional as well as a top-notch infrastructure network. Finishing specifications: Phase II is on the southern border of the first phase and features exclusive fully-finished apartments, duplexes and penthouses and semi-finished townhouses. Apartment finishing includes the highest quality of engineered wood and HDF, in addition to the best local marble and ceramics. Payment plans & facilities: 6-year payment plan with a 10% down payment. An increase in prices is expected with site progress. Delivery: There is a delivery period of 2 to 4 years for all units of each zone. Location: Sukoon is strategically located on the west side of the city at Km 47 of the Cairo-Alexandria Desert Road. It is far away from the congestion of Cairo, yet conveniently connected through several roads including the 26th of July Corridor and Mehwar Rod El Farag. Sukoon is also 7 km away from the entrance of the Dahshour Road connection – Waslet Dahshour. It is located opposite the Sphinx International Airport and a few kilometres away from El-Fukka Road to the North Coast. Available units: We are introducing a new model: ‘The Twin Town’, a twin townhouse concept in 165 m2 only. The 56 Townhouses are affordably priced and generously distributed on a total land area of 22,000 m2. Attractive features: Everything is mindfully designed internally and externally to maximize space utilization in a highly secured environment. Amenities include a clubhouse, swimming pools, water features, shared and private communal gardens that are viewable and a terrace accessible from every window. SUKOON™ provides a serene environment where the landscape and footpaths take you through a 600 m track. The clubhouse has a cozy lounge area and a mini gym along with a small convenience store that provides a variety of daily essentials, directly next to a laundry service; where a golf cart can drive you back home. Finishing specifications: SUKOON™ Townhouses maintain a proper Super-Lux standardized finishing. Payment plans & facilities: SUKOON™ provides a 6-year instalment plan with a 15% down payment. Delivery date: Starting 1st quarter of 2019. SUKOON™ in the east side of Cairo and Borg El Arab. We are in the search phase because it all starts with choosing the right land in order to reach the level of affordability that governs everything we do. Location: Trillium community is a compound located in the heart of 6thOctober City in a prime location, close to Mall of Arabia and the Dahshour Road. Trillium is right behind the 6th October Shooting Club and is an easy five minutes drive away from Juhayna Square, Nile University and MUST University. The Trillium project design is inspired by the Trillium flower, a reflection of the special green gated community that offers a secure, peaceful family-oriented community where residents can enjoy tranquility and peace of mind. Available units: Phase 1 offers duplexes with gardens, single flats, and penthouses, with unit sizes varying from 115 m2 to 330 m2. Attractive features: Trillium club house offers the amenities all that residents need, including a large swimming pool, an indoor lounge for events and parties, a restaurant, a BBQ area, a fully equipped gym, a spa, a sauna, a Jacuzzi and a children’s area for kids to enjoy the sun and the greenery. There are also running and biking lanes throughout the landscaped area. Residents benefit from having underground parking. Payment plans & facilities: 10% deposit upon booking and contracting then 10% after 3 months, with a further 10% after 2 years. The remaining 70% is spread over 6 years. Upcoming projects: Notting Hill compound and Iconic Mall on the Cairo – Alexandria Desert Road. Location: Trio Gardens by M2 Developments is a compound in New Cairo, spread over an area of 35.5 acres. Strategically located at a junction of two highways, it is 27 minutes from the Ring Road via the Suez road, 10 minutes from AUC, 15 minutes from the Sokhna Road and 30 minutes from Cairo International Airport. Available units: Trio Gardens offers 773 units and a wide range of building types and spaces ranging from 140 to 350 m2, with private gardens ranging from 35 to 85m2. The total built-up area is 25% of the total land space, while the remaining 75% is dedicated to greenery. Attractive features: Trio Gardens boasts a clubhouse, jogging track, commercial area, solar energy system, Smart Home technology and after-sales service.Facilities, amenities and sustainability features include an underground parking and amenity room, solar energy, energy saving systems, garbage chute, emergency power system, MATV system, surveillance system (CCTV system), package elevators and automation. Finishing specifications: Trio Gardens offers you fully finished units, completed throughout with high quality materials. Home automation technology is part of the finishing. Upville is an exclusive, fully-fledged residential project that lies in a prime central location in the heart of 6th October City. The project overlooks the main Dahshour road that connects with Wahat Road from one side, and Cairo Alexandria Road from the other side, giving easy access to Sheikh Zayed and 6th October City. Upville is handy to many commercial and recreational centers like Mall of Egypt (walking distance) and Mall Of Arabia (five minutes away) as well as being in close proximity to main surrounding hospitals, schools and universities. Upville offers a variety of upscale homes, including stand-alone villas with a 440 m2 built up area which includes basements and roof terraces. Upville also introduces its exclusive Sky Homes, boasting an average of 330 m2 built up area while enjoying a view over one of the most spacious parks in the project. The project has been designed with a strategy of being a low density residential destination, utilizing only 17% of the land in built up areas with 83% of the land area dedicated to open parks, greenery and walkways. Upville has maintained a high rate of construction, thus enabling prospective clients to actually enter and view their desired units before taking the decision to buy. The outer finishing and facades are fully finished, while interiors are delivered as core and shell. However there is an option for clients to request a full internal finishing package. 5% and 7% down payment with up to 6 years payment plan. Within two and a half years. Based on the success of Upville it is expected there will be further development. Location: Victoria Park is located in a vibrant location directly facing Hadiqat Al Tefl, Nasr City with an area of 100,000 m2. The project consists of four residential, administrative, and commercial tower buildings with 260 units. Victoria Park is also conveniently close to Cairo International Airport and all the surrounding commercial areas. Available units: All phases of the compound are open for sale, with unit sizes varying from 115m2 to 220m2. Attractive features: Security is one of the most important priorities of any family, so the most successful projects are those that can maintain internal security through equipment and maintenance team who work around the clock. This is provided at Victoria Park, in addition to the use of the latest technology available in the world of electronic devices, electronic detectors, and surveillance cameras to ensure the safety of residents. The project’s design has taken into account environmentally-friendly factors for a healthy and positive lifestyle. Victoria Park takes advantage of the environment and view, providing open air spaces directly looking towards Hadiqat Al Tefl Park from all roofs of the project. Facilities and amenities include a Hypermarket, pharmacies, banks, cafés and restaurants. Upcoming projects: Notting Hill compound and Iconic Mall, located on Cairo-Alexandria Desert Road. Idyllically situated in the heart of New Cairo between Maadi and Heliopolis, Uphill Residence is accessible from all major road networks and benefits from proximity to nearby municipalities. In addition, the compound is 10 km away from the AUC campus and only 25 minutes away from the Cairo International Airport. 20 unit types are currently available, with an average size of 190 m2 . Attractive features: Uphill Residences enjoys a prime location between Maadi and New Cairo. The compound has a convenient commercial center and an on-premise fully equipped, modern gym facility. Exclusive services will be afforded for residents that range from Fluff & Fold laundry services, to landscaping and building maintenance and sanitation upkeep. At Uphill Residence, homeowners can confidently park their cars in Cairo’s first luxury residential underground parking facility. In addition to providing a high degree of security for the compound, the underground parking also preserves the modern aesthetics of the lush, natural landscape at the residential level. Payment plans & facilities Down payment of 10% and settlement over six years. Changes in pricing in 2018: Unit prices will increase by 20%. 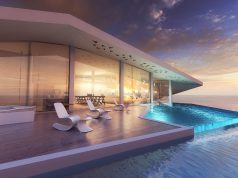 Red Sea Real Estate Update: 18 Developments & Hotels to Enjoy!